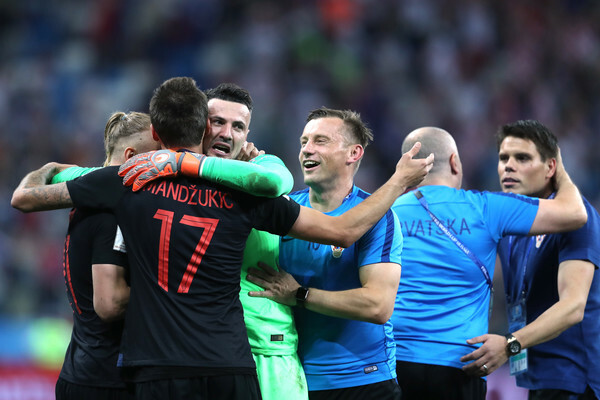 Danijel Subasic saved three penalties while Kasper Schmeichel saved two penalties as Croatia eliminated stubborn Denmark in a dramatic penalty shootout to set up a quarter-final clash against World Cup hosts Russia. The match went into extra time after the full-time ended 1-1 with both goals scored five minutes into the game. Before the end of extra-time, Leicester City goalkeeper Kasper Schmeichel saved Luka Modric's penalty.